What a difference 86 years can make. Qa' al Jafr, located c. 50km ENE of Ma'an in Jordan looked the picture of health in 1926 when the Royal Air Force flew over and took this magnificent photograph. 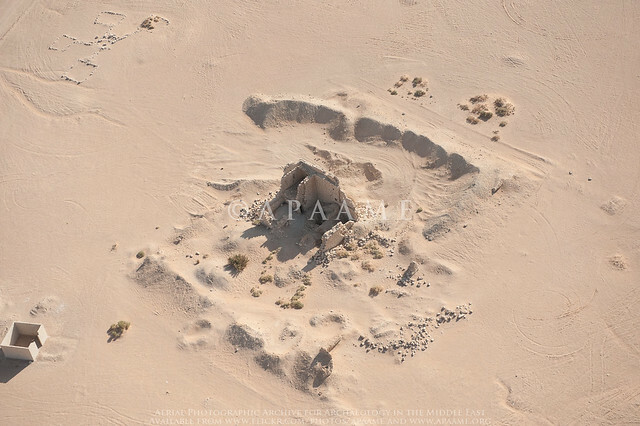 A large number of bedouin tents and a small heard of camels can be seen in the landscape, dwarfed by the imposing unfinished 'palace'. The structure was built by Turkish prisoners of war under Auda Abu Tayi, a leader of the Great Arab Revolt who had settled in the region. The location took advantage of a nearby well. The structure, probably inspired by Roman, Crusader and Islamic forts, remained unfinished after his death in 1924. 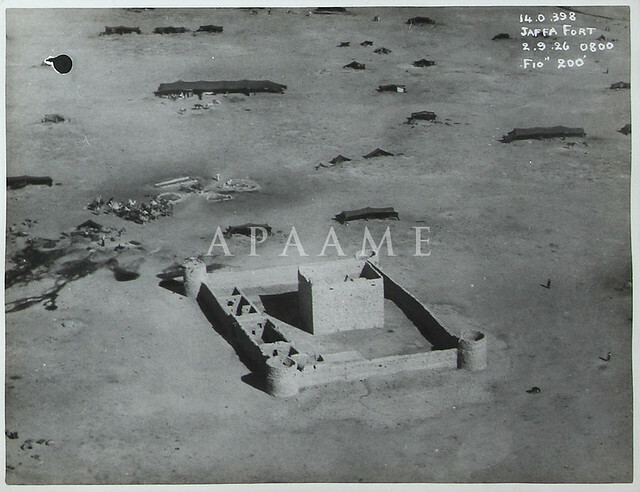 Remains of Qa 'al Jafr Fort September 1926. Photograph: The National Archives, London. Today: the outer walls are almost completely invisible and the central enclosure is crumbling rapidly. The ruinous state is surprising considering its relatively young age (under 100 years), but is also a reminder of how the physical remains of the past, even if belonging to a recent era, can decay. Remains of Qa' al Jafr Fort, October 2011. 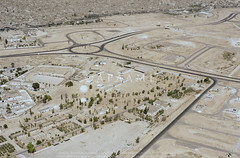 APAAME_20111013_DLK-0228. Photographer: David Kennedy. Thanks to David Connolly at www.bajr.org, we've recently learnt about 123D Catch, a free beta software package that creates 3d models from photos taken at different angles. This software is a lot of fun to use, and we've spent the last day or so playing around with some images from our archive. 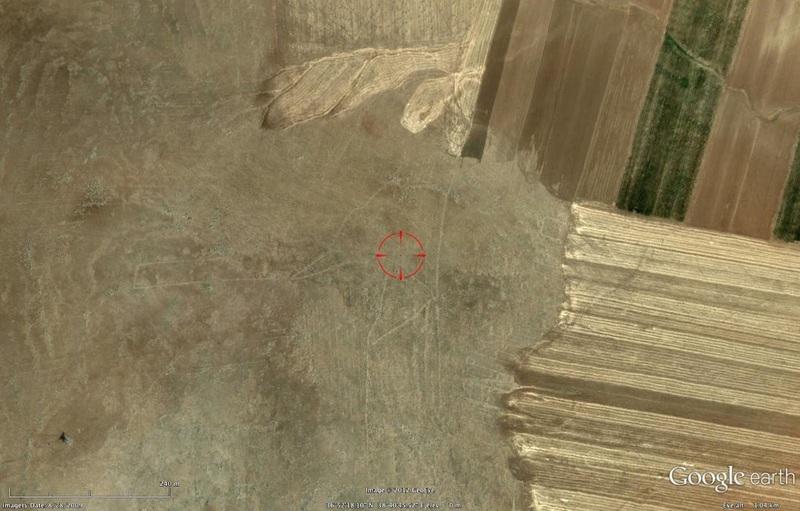 Happily enough, the way we often photograph sites - spiralling around them in a helicopter - produces photos that are almost ideal source material for this software, and some of the early results of are pretty impressive, especially as we didn't have this technology in mind when we took the photos (see above: Khirbat Iskandar, an Early Bronze Age site on the King' s Highway in Jordan)! We are exploring this tool as a means of displaying detailed information about the sites we photograph to the public, as well as using the models as a research tool - they often reveal nuances of topography that we simply can't see from air (we found out that Burqu Kite 7 sits in a low valley that likely funelled animals into the Kite's head, for example). We'll be posting more of these fly-overs as we make them! 1:30pm - Fall: Economic, Social, Environmental... and more. 3:00pm - What Happened... and Does it Matter? Please let us know of your interest by emailing Norah Cooper. 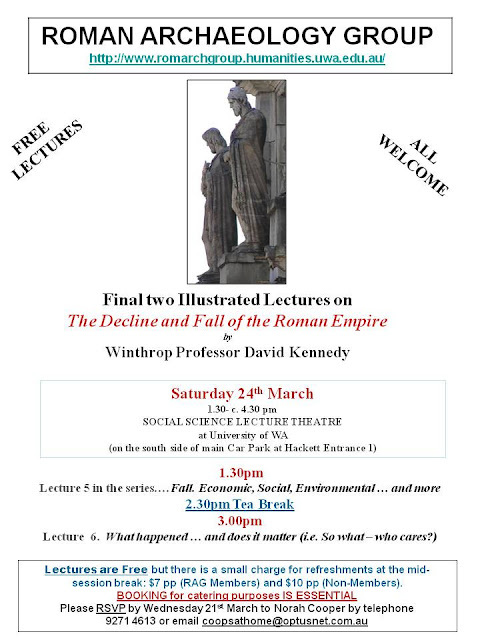 Next lectures: Winter Lecture Series TBA. 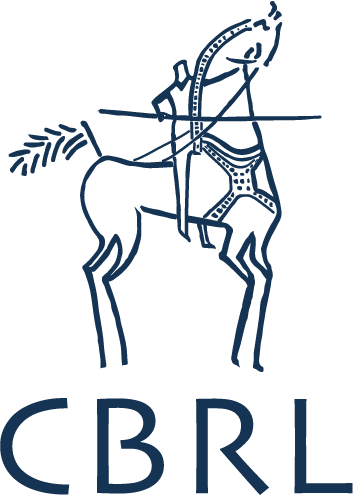 A short report on the final season of the Jarash Hinterland Survey (2010) co-directed by Fiona Baker and David Kennedy can be found at the great Past Horizons website. "It is all too easy to get distracted from the survey by kind offers of tea, but as always local knowledge is gained as a result. For instance, to be informed that a tomb containing about twenty sarcophagi on Abu Suwan had been used as a bomb shelter in 1973 and had subsequently been filled in leaving no visible trace represented a great result. The route of a Classical water course in the Wadi Deir – now scattered and bulldozed – was shown to us by a man who played in it as a child. An intense artefact scatter also got us excited, only to be told to our disappointment that it had been deposited by trucks moving earth from elsewhere in the preceding few months." An overview of the 2010 season appears in ADAJ Vol 55, 2011.